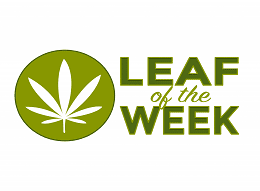 There are many ways to experience one of the preeminent cities in the world, Denver, Colorado. A young, active, and diverse community has built a culture like no other, and the payoffs come in many different forms. If you’re like me, one of your favorite new aspects of living in Denver is the world-class food. While not historically known as a culinary mecca, Denver is showing that an old city can learn new tricks! Actually, in 2017, Zagat rated Denver the 4th most exciting food city in the Nation! That said, what better way to see the city then by a food tour? 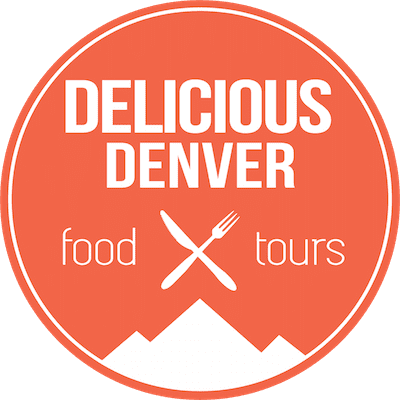 Enter Delicious Denver Food Tours; a young and scrappy company showing locals and visitors alike a new way to experience Denver…and it’s delicious! 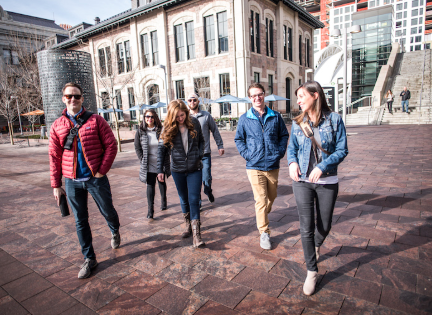 While you’re adventuring around the heart of downtown, Jess or Lisa will make sure you “walk, talk, and eat a lot.” This isn’t just hopping from one spot to another, this tour will teach you about the history of Denver, fill you up on some delicious bites, and challenge you to try new things! From corporate events to solo international travelers, and everyone in-between, Delicious Denver Food Tours hosts patrons of all types, come rain, snow, or shine. After hearing of this, we knew we had to experience Delicious Denver Food Tours first hand. Delicious Denver Food Tours led us on a culinary adventure of restaurants that have impacted Denver’s quickly changing and expanding downtown culinary scene. The tour took us on an exploration of the history and reasons Denver is becoming a food hub for Colorado locals and world travelers alike. The tour was professionally executed, while also being a lot of fun. It was a great way to meet like-minded foodies who we wouldn’t have had the opportunity to meet otherwise. The information provided on the city of Denver was new to us, even though we are Colorado natives. There was also a great range of cuisines and ambiances provided on the tour. It was very clear Jessica Baumgart and The Delicious Denver team have strong relationships with the restaurants we visited, and will have a lot of future success with this business. This is a must try experience for Colorado locals and visitors alike! 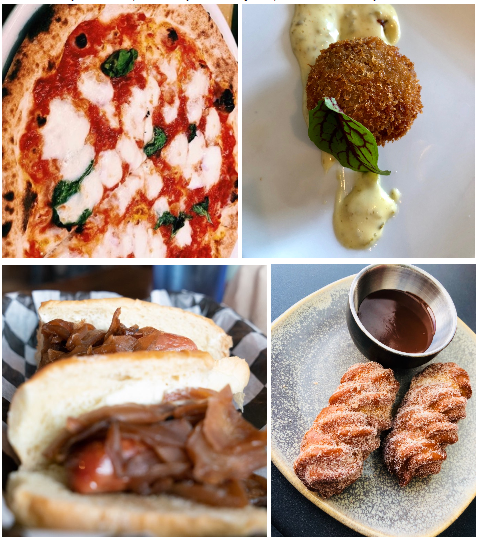 During our 6 stops, starting by Coors Field and ending by the historic Union Station, we indulged in (truly) authentic Neapolitan pizza, challenged ourselves to eat pig head and reindeer hot dogs, and of course had a couple treats like sheep milk ricotta and churros con chocolate. As promised, we left pleasantly full, and had a couple stories to boot! While the food tour is great for people of all ages, Delicious Denver has another option for us 21+ folks as well. If you haven’t heard, Denver also hosts quite the beer and cocktail culture, and Jess wasn’t going hold that back from her customers. Delicious Denver also hosts a cocktail tour in the city, with other options to come! Even better, if you take the food tour, you get 10% off the cocktail tour…talk about a happy hour (or four). If enjoying good food or cocktails while learning about a great city is appealing to you, sign up for a tour at deliciousdenverfoodtours.com! You’ll be glad you did!